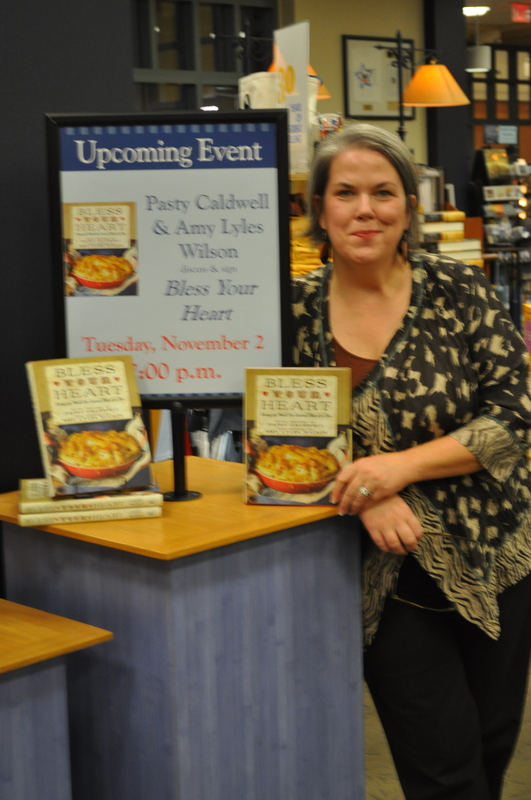 Of Middle-Aged Dreams and the Demise of the Bookstore – Amy Lyles Wilson, M.A., M.T.S. I am a middle-aged goober who still has dreams, even though I don’t have as much time to get them accomplished as I once did, seeing that I’m staring 50 in the face. To wit: I’d like to lose some weight, write a novel, and buy an old farmhouse where creative types can come to write and commune and hang out. And I wanted, as much as anything, really, to have a book signing at the Davis-Kidd bookstore in Nashville. On November 2, that dream came true for me. And this week came word that the store will close by the end of the year. Back in 1993, my parents sat with me at the Davis-Kidd café as I signed the papers to buy my first home in Nashville. The store was at a different location then, one that felt like home. My father was still alive, and I was thinner, and single, and dreaming of being a writer. It was the place where I heard Mary Karr for the first time; where I discovered the work of Ann Hood, a writer I would later study with at Chautauqua; where I spent many an enjoyable Friday evening listening to music and having dinner; and where I could find those literary journals no one else carries. When Davis-Kidd moved to the Green Hills Mall a while back, it didn’t “feel right” to me, but I like to think I understand progress, and commerce, and foot traffic. And it still seemed like home in many respects, just a bigger, less cozy one. Thank you, Davis-Kidd, for the books, and the tuna melts, and the memories. And the dream come true. Next ›Go Ahead and Call Me Cry-Baby. I Can Take It. Oh, how lucky you are! A Davis-Kidd book signing was my dream, too, but now alas, that part of the dream seems not to be. Keep hoping some wealthy booklover will swoop in and save the day. aww…so bitter sweet. So thrilled you got to have your book signing..i am sure you will have many more. But, ah,yes my my eyes got a bit cloudy today finding out that our little Nashville staple will be gone…many memories! Amy, you right such perceptive things. I feel like I’m sitting down with you, having a cup of tea and conversation. Thank you.